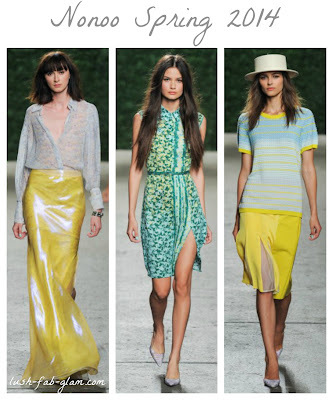 Lush Fab Glam Inspired Lifestyle For The Modern Woman: The Best Of New York Fashion Week Spring 2014. The Best Of New York Fashion Week Spring 2014. Last week New York city was the buzzing fashion center of the world as designers, models, celebrities, press, retailers and fashion lovers all descended on Manhattan for the annual Mercedes Benz Fashion Week shows. 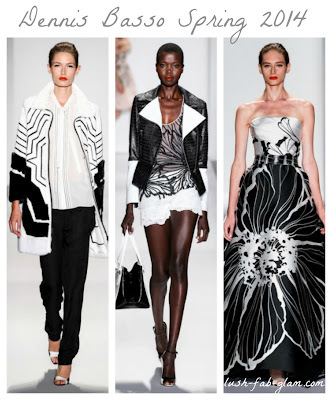 Now that the fanfare is over we take a look back at the beautiful designs that went down the runway and pieced together our favorite designer shows and collections for the upcoming Spring 2014 season. Altuzarra Spring 2014 Collection at NYFW. 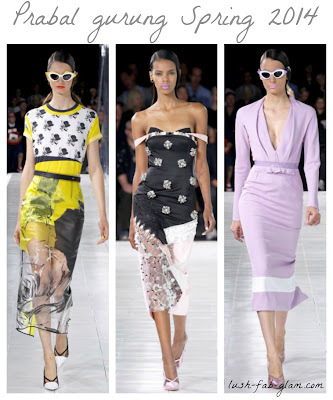 Read on to see our picks for the best of New York Fashion Week Spring 2014 featuring designs by world renowned fashion designers like Oscar de la Renta, Diane Von Furstenberg and Carolina Herrera to up and coming stylists turned designer Rachel Zoe. 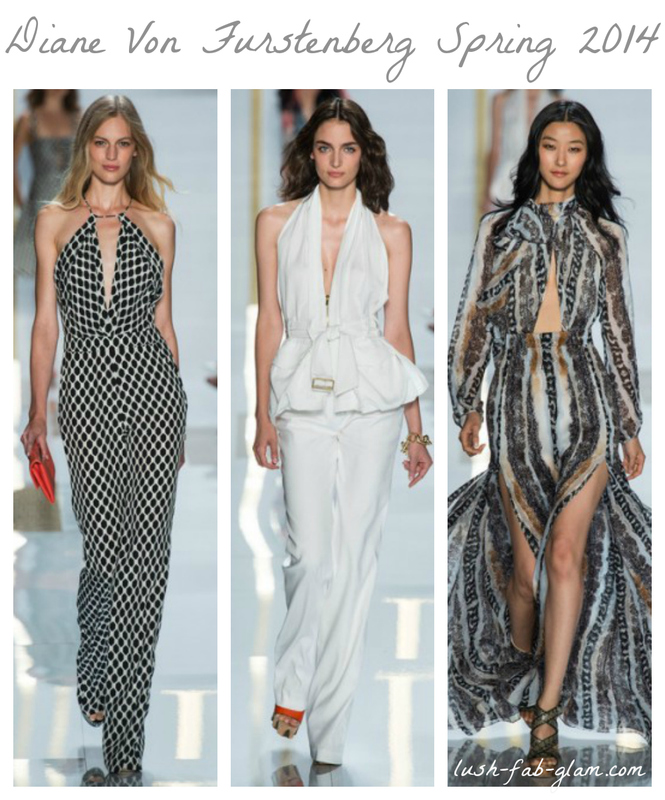 Diane Von Furstenberg Spring 2014 Collection at NYFW. Zimmerman Spring 2014 Collection at NYFW. Carolina Herrera Spring 2014 Collection at NYFW. Kaufman Franco Spring 2014 Collection at NYFW. Philosophy Spring 2014 Collection at NYFW. Dennis Basso Spring 2014 Collection at NYFW. 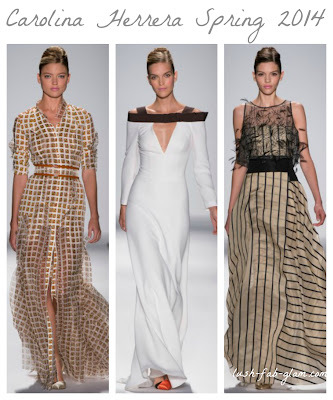 Naeem Khan Spring 2014 Collection at NYFW. 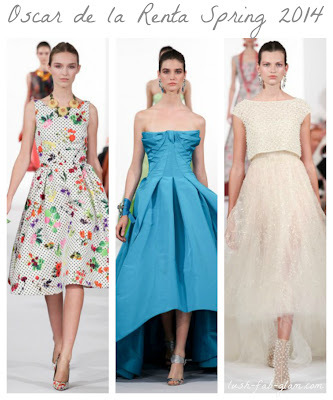 Oscar de la Renta Spring 2014 Collection at NYFW. Nonoo Spring 2014 Collection at NYFW. Prabal Gurung Spring 2014 Collection at NYFW. Delpozo Spring 2014 Collection at NYFW. BCBG Max Azria Spring 2014 Collection at NYFW. 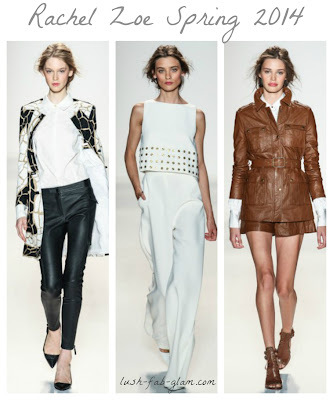 Rachel Zoe Spring 2014 Collection at NYFW. Adam Lippes Spring 2014 Collection at NYFW. Rebecca Minkoff Spring 2014 Collection at NYFW. 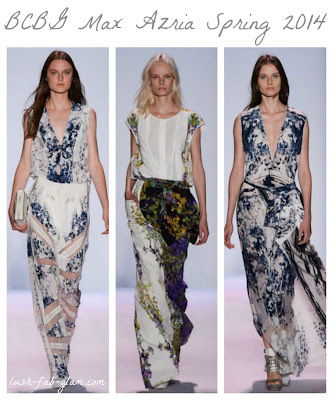 Which spring 2014 designer collection from New York fashion week do you love. Share with us by leaving a comment below. The black and white dress by Dennis basso is lovely!